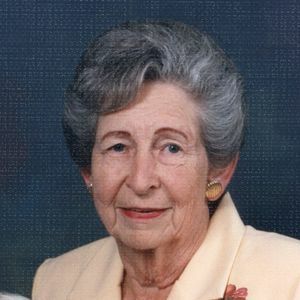 Ava Lee Hudson Edwards, 83, entered into eternal rest on Monday, February 18, 2019. She was preceded in death by her husband Jason Edwards, two brothers: J.W. Hudson Jr. and Delmas Hudson and one sister: Ethel Mae Winston. Ms. Ava leaves behind son: Archie Edwards and wife Jeni M. of Youngsville, daughter: Cynthia E. Davis and husband Danny of Bladenboro; one brother: Ben Hudson of Youngsville; one sister: Mary Turner, also of Youngsville and two grandchildren: David Davis and Rachel Davis. Ms. Ava was a compassionate, dedicated lady to her family, as well as the people of Bladen County and Youngsville, NC. She loved the Lord, enjoyed singing and attending church. Ms. Ava was a dedicated member in the Oak Level Christian Church in Youngsville and then in the Oak Grove Original Freewill Baptist Church of Bladenboro where she served as the president of the Oak Grove Ladies Auxiliary. She also served on the Board of Directors of Craigmont Assembly in Black Mountain, NC. Ms. Ava graduated in the Class of 1953 of Youngsville High School where she played basketball. She also played with the Ladies Durham Life Insurance Basketball Team in Raleigh for two years. Among her many accomplishments, Ava served as the first elected female Register of Deeds of Bladen County from 1990 to 1998. Before becoming Register of Deeds, she served as the Deputy Register of Deeds and Assistant Register of Deeds. Ms. Ava served her community well but her family always come first. Even in her dementia illness, she never forgot the love she had for her husband. She would always ask "Where is Jason?" Ms. Ava's dedication to her family and community will not soon be forgotten. A funeral service is planned for Wednesday, February 20, 2019 at 3:00 pm at the Oak Grove Original Freewill Baptist Church in Bladenboro with the Rev. James Nobles officiating. Burial will follow the services in Bladen Memorial Gardens in Elizabethtown. In lieu of flowers memorials may be made to Oak Grove Original FW Baptist Church, 1423 Oak Grove Church Rd, Bladenboro, NC 28320 or the Alzheimer's Foundation, 322 Eight Ave. 7th Floor, New York, NY, 10001. Add your thoughts, prayers or a condolence to Ava Lee's guestbook.